"Love minus knowledge is problem and love with knowledge is bliss." "Wise is one who learns from another's mistakes. Less wise is the one who learns only from his own mistakes. The fool keeps making the same mistakes again and again and never learns from them." "Life teaches you the art of letting go in every event. When you have learnt to let you go, you will be joyful and as you start being joyful, more will be given to you." "Three things to hold on to - Sharpness in the intellect, Happiness in the mind and tenderness in the heart." "Every storm that has come into your life has widened your horizon, has made you deep and more powerful. Every storm has destroyed some smallness in you, something in you that has been very small." "Make your desire bigger. Desire for the highest. Don't go for anything smaller. Then divine love dawns in you." "If you are happy, infect others with your happiness; don't keep it to yourself. Any action done with this idea behind it is service and the best form of service is uplifting someone's state of mind." "The present moment is so deep & vast. It contains the entire past & future." "Activity and rest are two vital aspects of life. To find a balance in them is a skill in itself. Wisdom is in knowing when to have rest, when to have activity, and how much of each to have. Finding them in each other - activity in rest and rest in activity - is the ultimate freedom." "Events come and go, they perish like flowers. But every event and every person contains some honey. Like a bee, just take the honey out of every event and every moment and move on. Be like a busy bee and be in the being." "Success means having an undying smile and determination to keep moving ahead come what may." "A moment of quiet serene smile speaks volumes that even thousand words cannot convey. Keep smiling and keep serving." "When the mind is happy, it expands and time seems too short. When the mind is unhappy, it contracts and time seems too long. When the mind is in equanimity, it transcends time." "True success in life is to manage ourselves." "For success in life you need yukti(skill), shakti(strength), Bhakti." "A sign of success is confidence. Even if you lose everything and have your confidence, you can recreate everything." "Life is much larger than birth and death, failure & success. You are the unblemished, pure, eternal self. Knowing this, you walk like a king." "Happiness is right here and now and way to find it is through meditation. It improves our mind, health and brings more happiness." "Don't postpone your happiness until some perfect future date. Be happy now, tomorrow will take care of itself." "If you are a taker of happiness you get misery, if you are a giver of happiness you get joy and love." "Where the wanting and desires end & the sharing begins, happiness is there." "The main thing in life is contentment. The more contented we are, the more we receive in life. Purity, clarity, contentment = formula for happiness." "If we maintain the purity in the heart, clarity in the mind, action becomes more harmonious." "Welcome each day with a genuine smile from within. 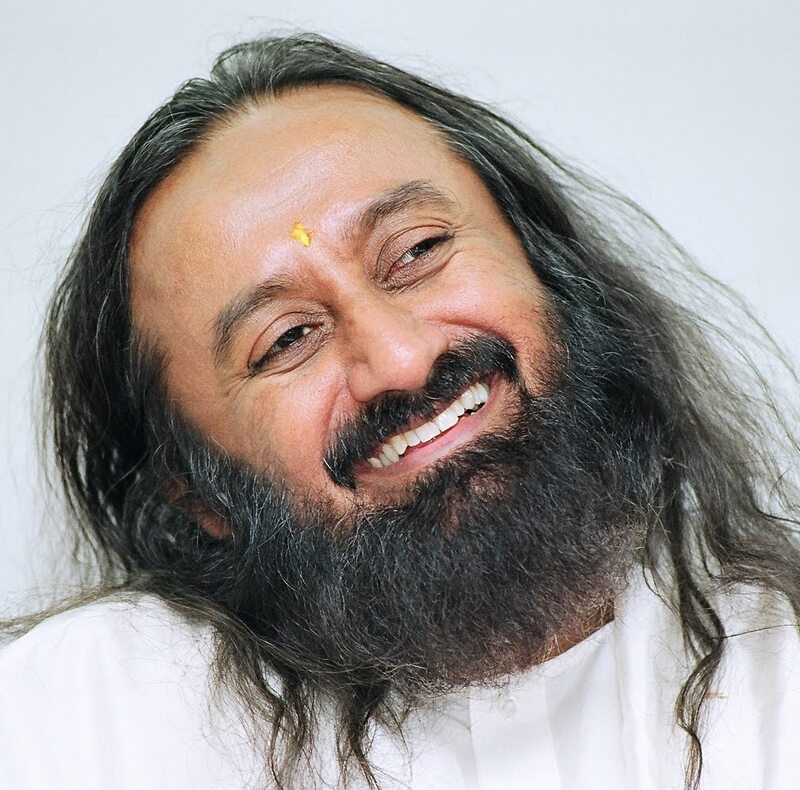 That smile comes when you know for sure that the divine loves you." "Spirituality means going deep into your prayers, irrespective of what prayer and which religion you follow." "Expression of love is service, expression of joy is smile, expression of peace is meditation, expressing god is conscious action." "You are like a free bird. You are fully open. Learn to fly. This is something which you have to experience within yourself. If you consider yourself as bonded, you will remain bound here. When will you experience freedom? Become free right now. Sit down and become content. Spend some time in meditation & sat sang so that your inner self becomes strong enough to deal with challenges."